This was just a disaster. Where do I begin... Oh, ok how about the fact they played Red Like Roses Part 2 in the first little bit, long before it was supposed to be played and made several horrible and obvious cuts throughout the whole first episode. I get that they were trying to edit the show to fit three episodes in one, but they could've honestly done a lot better. The cuts were very sudden and rather jarring to the point where it felt like it gave me whiplash and they even cut out whole scenes that I felt was very important to character backstory and development as well as to keep the humor of the story alive. They are gone now. If I was Monty Oum, I would be rolling in my grave right now. I'm serious, this feels like such a slap in the face. I will concede a number of the voices worked really well, and I found myself quite enjoying Jaune's voice, but Ruby's drove me insane. She felt very monotone to me and I couldn't get immersed thanks to that. If you can watch past all this, by all means do so. I will not stop you, and more power to you, but I couldn't help but feel disappointed in this. What is this train wreck?! While there been much debate about whether RWBY qualifies as an "anime" or whether or not its even good for those that do enjoy it, regardless of its "anime" status, this is a terrible edit as a Japanese dub. Its obvious they tried to cut together something on the length of regular anime episodes but the cut out WAY to much and made everything feel rushed. Its like a enthusiastic fan with little editing skills made this. Is this really the official cut from Warner Brothers Japan dubbed series? Is this what was on their disc release of the show? If it is; why? If it isnt; WHY?! The Japanese Dub for RWBY is extremely well done and extremely well casted with many large voice actors. This version, is intended to air on television and play like a normal TV anime. However the cut doesn't do justice to the art style of the web series and how the episodes are viewed. It is definitely worth watching to get a taste of how the Japanese Dub is, but if you want the full experience I would recommend watching the individual episodes with the Japanese Dub rather than this mashup. I mean... It's RWBY, but Japanese. That's really all there is to say. I couldn't get why you would choose to watch it in another language, but I suppose it's nice to have options. The animation is a little spotty at times, and It's clear this was made on a low budget, but it works together well. If you want to watch RWBY, I'd personally try looking elsewhere. Every episode in the 4 seasons so far is on Crunchyroll anyway, so waiting a week an episode to see it in a language I don't even speak seems a little pointless to me. But hey, if you absolutely MUST see it in Japanese, well, there you go. Couldn't make it through the first episode. It seems like they had the mandate to make it half as long in order to cut down on the amount of lines that need to be dubbed. The end result is that so many things are cut out that any sort of personality and characterization and even choreographic progression is completely lost. As the title says, it felt like i'm watching a trailer. Also Ruby's VA is competent, but extremely generic, which is a weird choice for the protagonist. 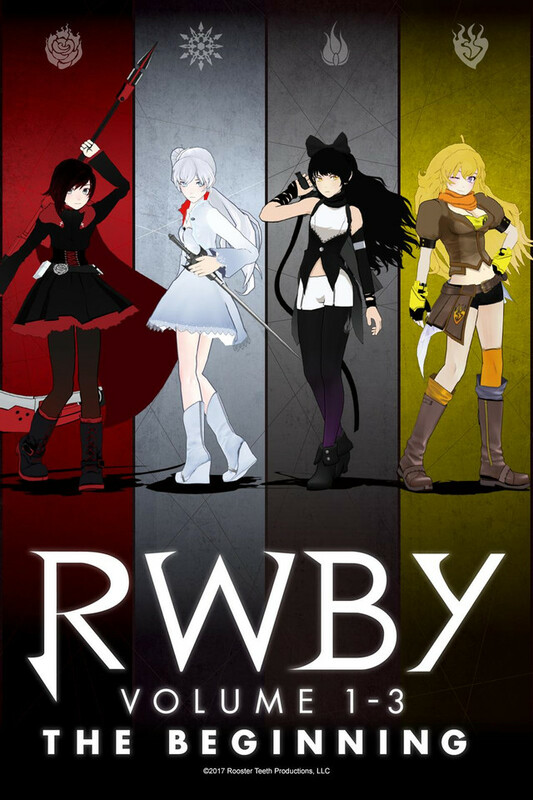 If you have watched the original RWBY in English then you should in my opinion stick to it. Also all you newcomers to the show should also watch the English version first. Sometimes the cuts makes absolutly 0 sense so its hard to tag along in whats happening throughout the episodes, unless you have watched the original. They even cut the fights short and change lines (ex beginning of episode 1) and exclude some of them(Rubys´ conversation with Glynda). It doesnt even feel like RWBY anymore sometimes. Some people might have wanted a japanese dub, they might have been on a low budget from what I´ve heard, but I´ll stick to the same things that I have said about other shows: "If you gonna dub it then atleast get it right". I was kinda hoping for the 5-15 min episode format that they've had in the past for this show but it seems like it was edited to fit a TV schedule format. The cuts are kinda jarring and took away from some of the character introduction which I can already predict will end up turning the show into a somewhat more bland version of itself in its character development. The show is still enjoyable none-the-less even though the comedic timing is off. 4 Stars for at least a good dub. A lot of people say this is bad because it not only is the episode consistency not the same, but at lot of scenes were somehow altered or omitted out completely. If you want to watch RWBY, I suggest you watch the original English-language first (at least up to the end of Volume 3) before watching this condensed Japanese-language version. But in my opinion, it's better if you just stick with English, because the voice acting is just as amazing. Starting from Volume 3, you'll hear voices that you may recognize if you watch a lot of English-dubbed anime. Not saying the Japanese is bad either, since they're all professionals from anime we watch all the time. Just, you might have a better time watching the English instead. I'm kind of sad that so many of the puns/jokes that originally endeared the show to ended up cut out. I can understand how working with timing, cultural differences, and formatting from the original episodes can really shake things up from what I've been used to. All in all, I found myself oddly comfortable with the Dub and look forward to watching more. So I found all 5 released seasons on YouTube and binge-watched them all instead of doing homework.. I was just hooked and couldn't stop. I like the creatures of Grimm and as the series goes on, more characters get introduced and the battles just get better. If anyone has problem with the animation style, it gets better with each progressing season and the fights get better as the characters grow. I even watched the side-along RWBY chibi series on YouTube as well. I'd recommend this series to anyone who says they like anime and is looking for some memorable fights. I've also never seen a scythe used like this before if you like fantasy weapons Oh yeah. I forgot. Rock music!!! !